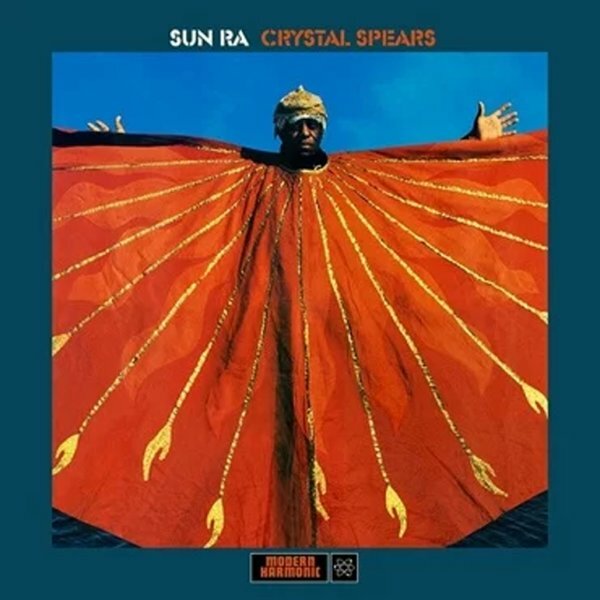 A really wonderful album from Sun Ra and the Arkestra – recorded during their early 70s relationship with Impulse Records, but rejected by the label at the time – because the sound was too far ahead of its time! That lack is our gain, though – as the session's gone onto legendary status over the years – in part because of Ra's fantastic work on keyboards on the title track – which pave the way for the album's great mix of acoustic and electric elements! After the jagged keyboard interplay of "Crystal Spears", the set then moves into some great group numbers that build in the best tradition of the Arkestra's earliest work – but with the different of Ra on electric instead of acoustic – so that percussion interacts with the work of John Gilmore on tenor and Danny Davis on alto, everything sounds maybe even more spacey and other-worldly than it would if Ra was playing a standard piano. Other titles include "The Eternal Sphynx", "The Embassy Of The Living God", and the very long "Sunrise In The Western Sky" – all of which have a lot more keyboards. © 1996-2019, Dusty Groove, Inc.